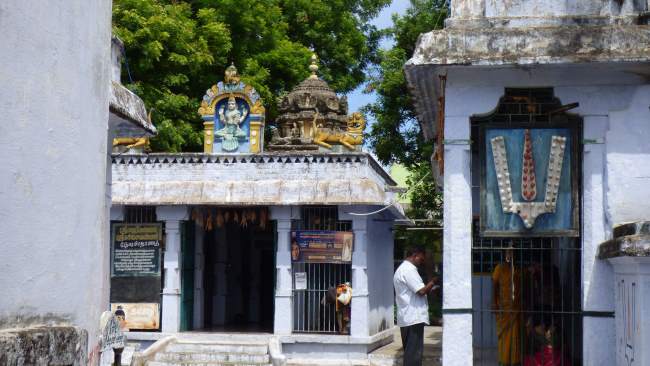 Situated very close to Kanchipuram railway station are two temples for Perumal facing each other – Pachaivannan and Pavalavannan. 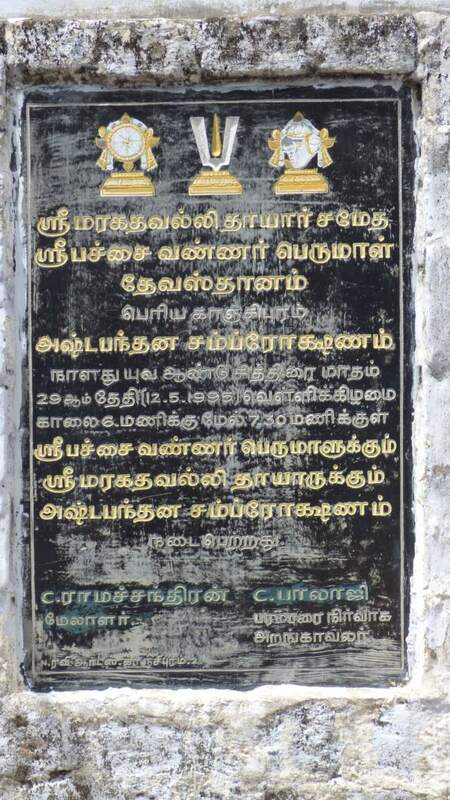 While Pavalavanna Perumal has found mention in Azhwar pasurams and therefore considered a divyadesam, Pachaivannan is not mentioned and is not considered a divyadesam by some. Others are of the view that the two temples are to be bracketed together. One morning at about 9.30 we left our house in South Mada street near Varadaraja Perumal koil on our two-wheeler for having darsan of the Colourful Perumals. We reached the temple in about 20 minutes. Auto rickshaw from Varadan’s temple will cost betweenRs.80 and Rs.100. 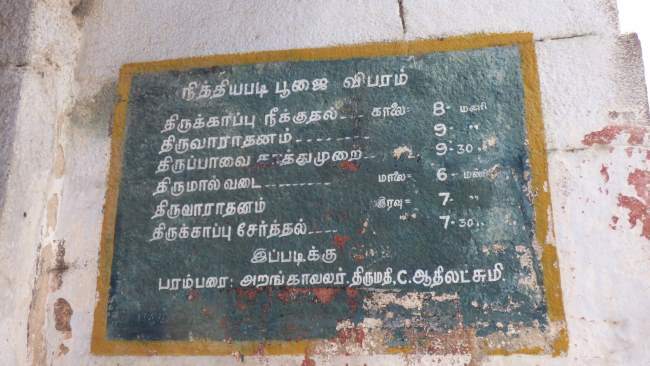 One can take a bus to Kanchipuram bus stand and walk to the temple. 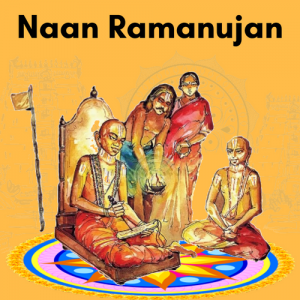 Generally Narayana is referred to as Neelameghashyamalan that is dark blue like the rain bearing clouds or the deep ocean. But He is also referred to as a mountain of Emerald that is dark green. Actually He takes whatever varnam (colour ) He chooses for every colour is His Creation. During ‘samudramantham'(churning the ocean of milk) He assumed many hues. 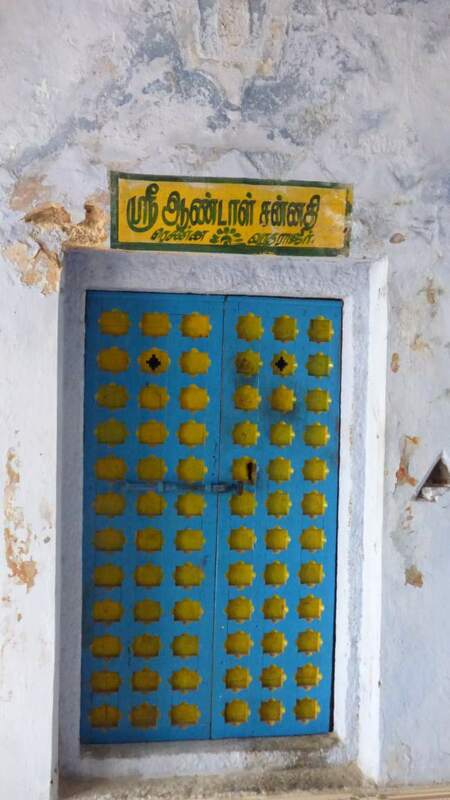 That green is His preferred colour is evident from Thayar’s Tirunamam ‘Maragathavalli’ which is the name in several divyadesams in and around Kanchipuram. Inorder to hit this point He exists as ‘Pachaivannan’ in the temple which bears His Name. 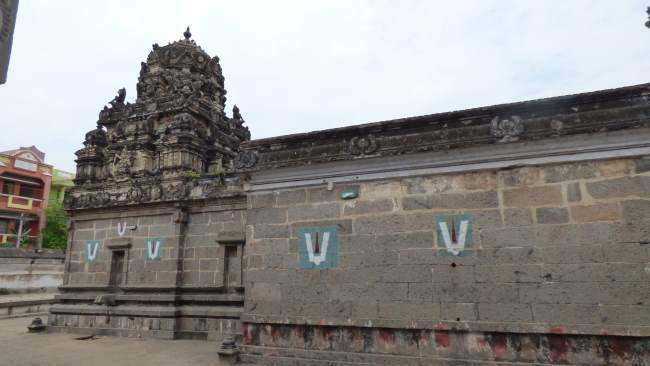 We located the temple with help from locals and saw the board ‘Pachavannar Devasthanam’. After prostrating at the dwajhasthambam we entered ‘Perumal Sannidhi’. 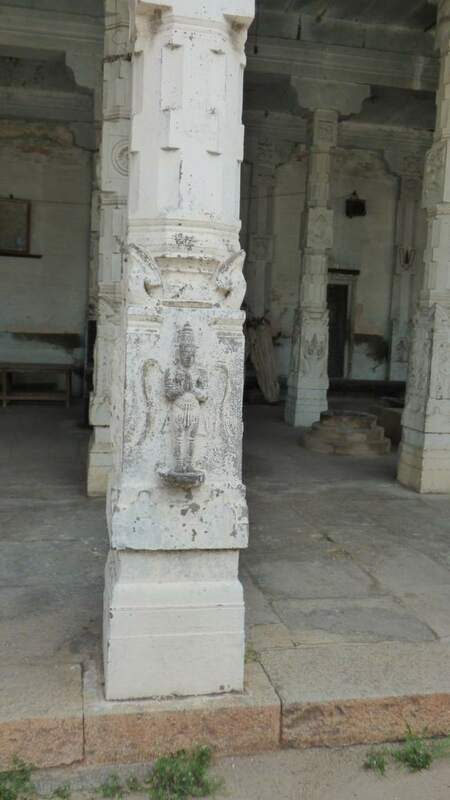 The mandapam outside had Perumal in green colour wearing yellow veshti in standing posture flanked by Garudazhwar on both sides. 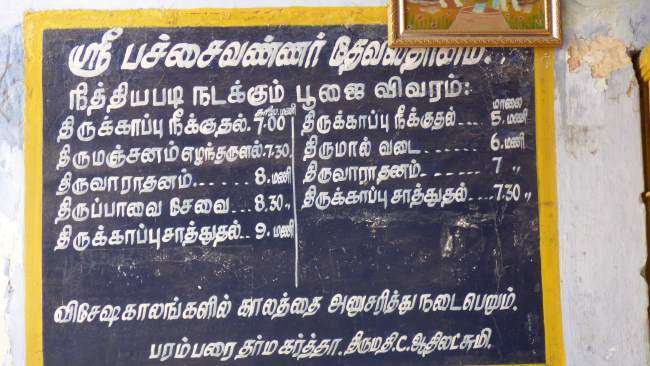 As we moved in there was a display board showing the temple timings, puja schedule etc. 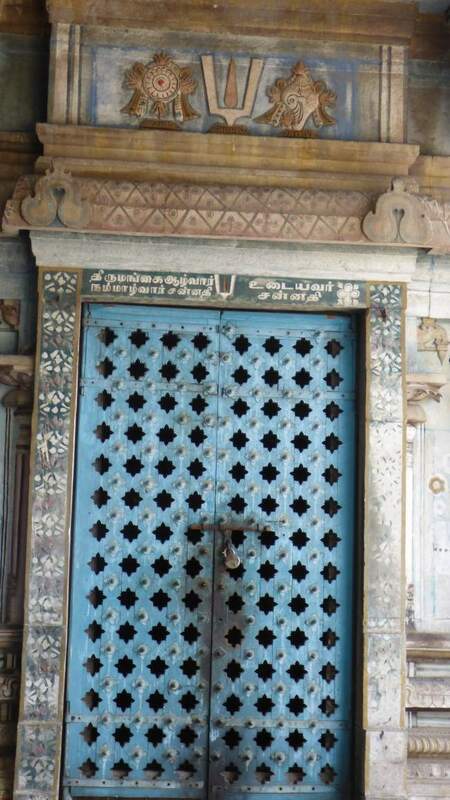 There were sannidhis for Andal and Azhwars and acharyas but they were closed when we visited. We entered the ‘garbha griham’ and handed over our mite to the aradhakar swami who offered the dried grapes and showed ‘karpoora-harathi’ while explaining about Perumal. 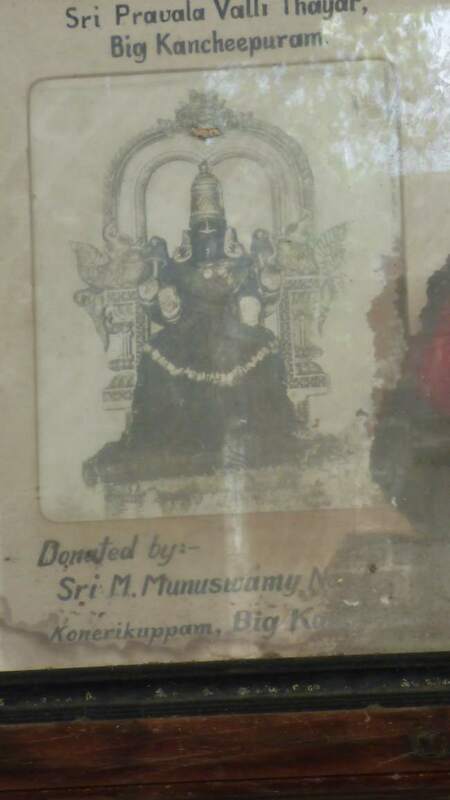 Pachaivanna Perumal in ninra tirukolam gave darsan to Marichi maharsi as Rama. 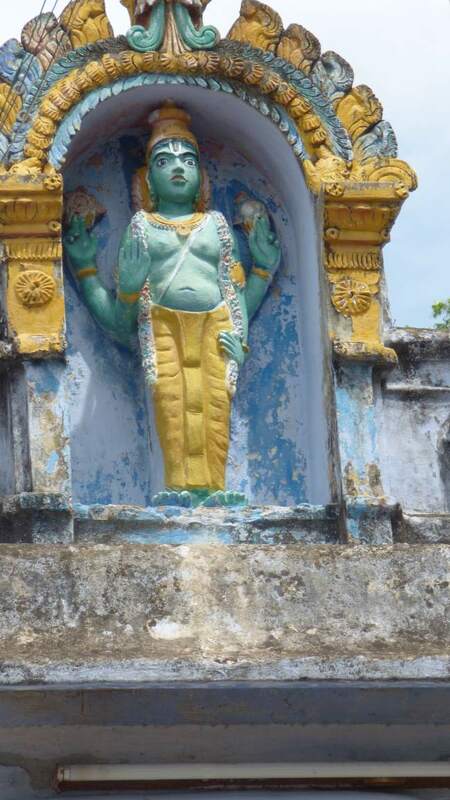 Utsavar is Pachaivannan with ubhaya nachimars. We next proceeded to Thayar Sannidhi which is just adjacent to Perumal sannidhi as we move in pradakshinam (clockwise). 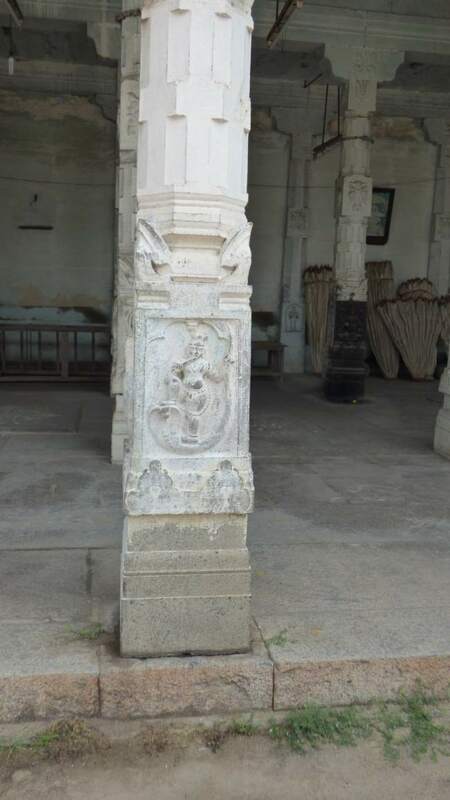 Thayar’s mandapam shows Thayar in green flanked by lions on either side. We entered Her garbhagriham and had darsan of ‘Loka matha'(Universal Mother) in sitting posture. After making our offering and getting Srisathari and kumkuma prasadam we went around in pradakshinam. 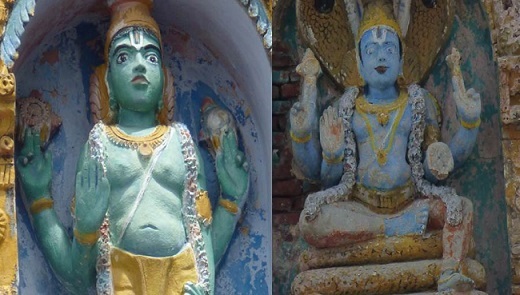 The vimans of Thayar and Perumal need a facelift. The sannidhis are however well maintained and the silver’ perumal patrams ‘were clean and sparkling. 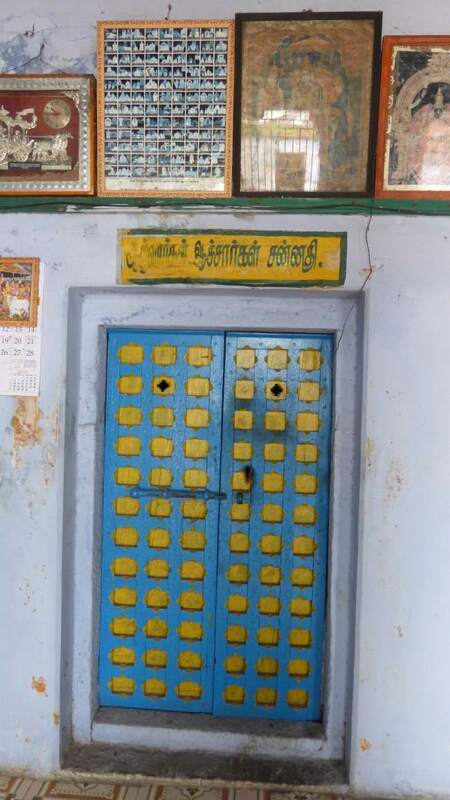 At Thayar sannidhi there was a board saying that a visit to Pavalavannan sannidhi was essential. 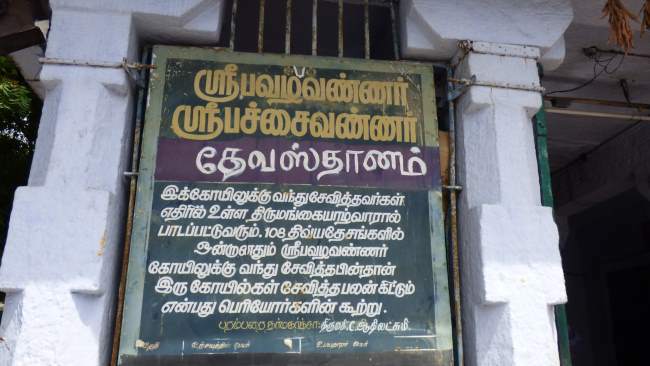 Elders view is that after visiting Pavalvannan temple, Pachaivannan had to be worshipped inorder to get fully the benefit of visiting the divyadesam. Since we did not know the order we visited ‘Pachaivannan’ first and proceeded to Pavalavannan next. 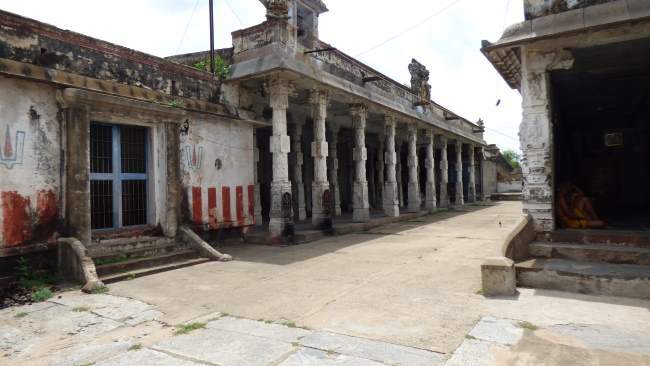 A straight road from Pachaivannan lead us to Pavala vannan or Pravalavannan temple, that is the twin temples face each other. 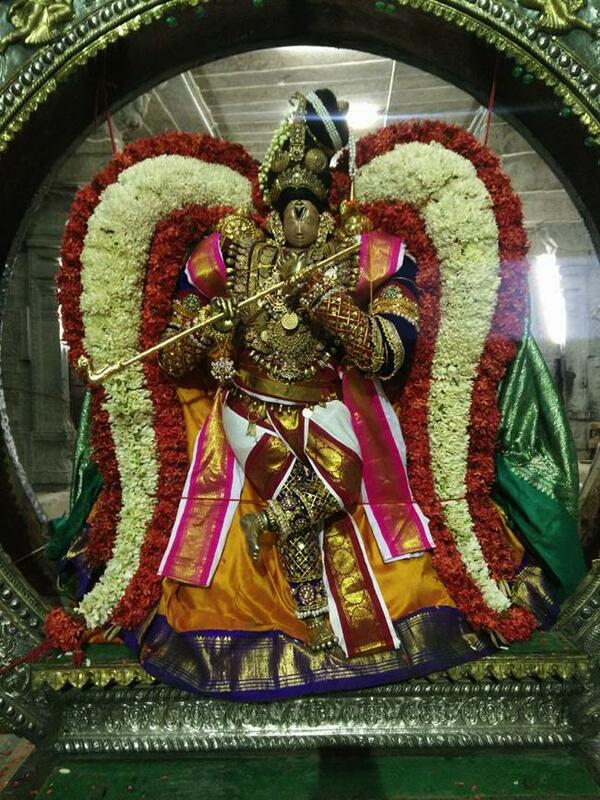 This Perumal has been praised by Tirumangaiazhwar and thus qualifies as a divyadesam. Coral is called ‘Pravalam’ in Sanskrit and ‘pavazham in Tamil. The question is how did Perumal assume this hue? 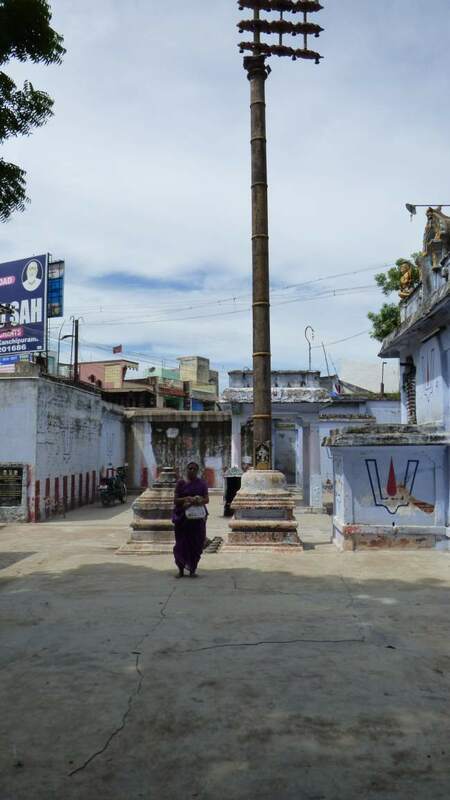 Most divyadesams in Kanchi are associated with Brahma’s ashvamedha yaagam and how Vishnu removed the obstacles that came by. He slayed the asuras who came to disrupt the yagyam and their blood splashed all over His Tirumeni giving it a coral colour. 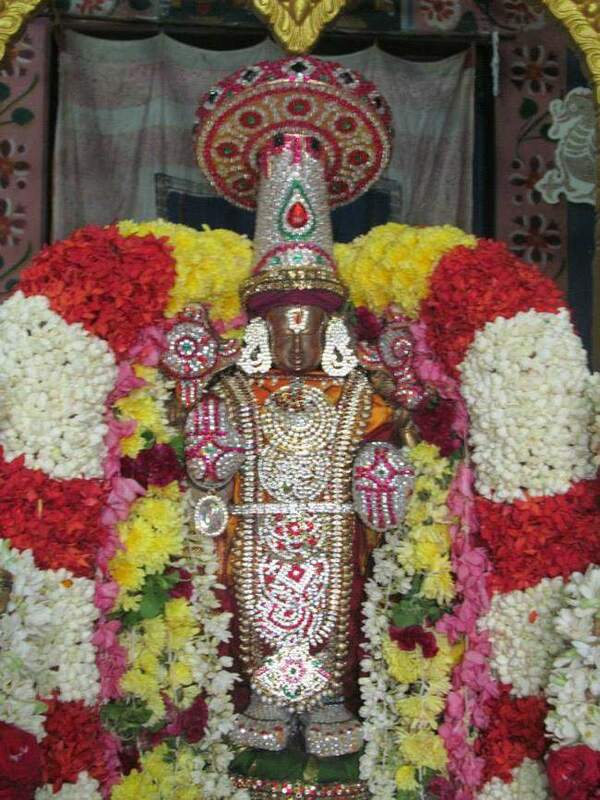 So He gives darsan to us in archa Tirumeni as ‘Pavalavannan’. 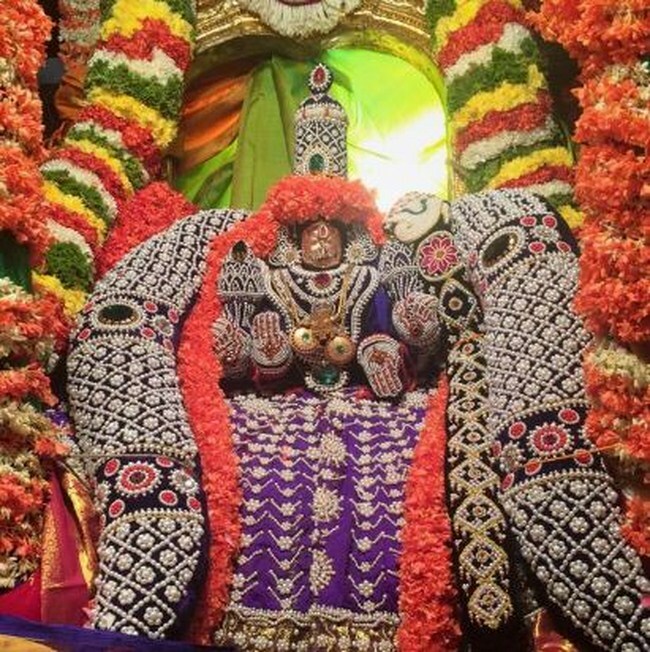 He is in sitting posture facing west and is also known as Vaikuntanathar. Utsavar is in standing posture with Sridevi and Bhudevi. After offering prostrations at the dwajhasthambam and worshipping Garudazhwar facing Perumal we made our way to Perumal’s sanctum. After worshipping there and taking theertham and Srisathari we came out and went along the pradaksina margam. As we moved we viewed the vimanam which clearly showed Vishnu in seated posture.As we completed the pradakshinam we reached Thayar Sannidhi. Thayar is Pravalavalli in seated posture and after praying to Her we came out. Our circumbulation was complete. As we made our way out we noticed a huge tank which was totally dry. 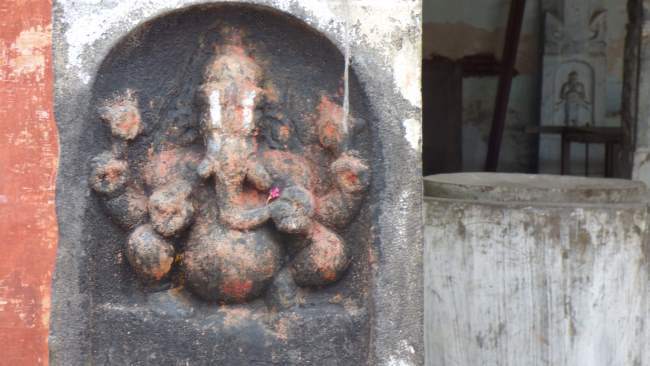 Also the head of Garudazhwar at the top of the compound wall was missing. 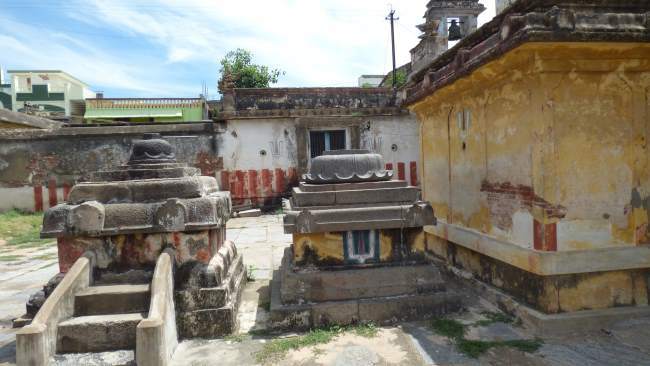 Such an ancient hallowed temple needs to be renovated and restored. 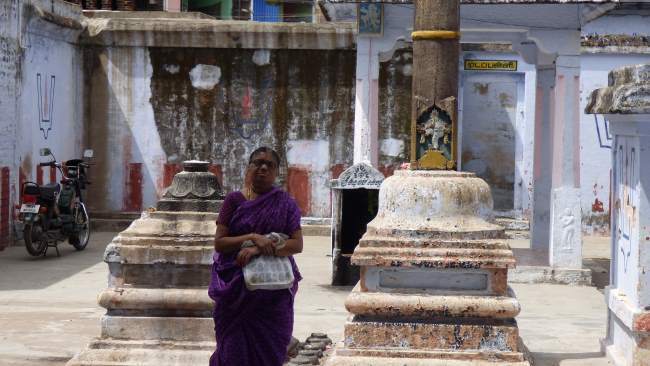 Perumal and Thayar are well cared for but the surroundings call for attention. Adiyen visits this virtual temple, http://www.anudinam.org every day ( anudinam ) and gets immersed in its wonderful articles. Your travel write ups are fantastic. This particular temple write up is really great. Adiyen wishes to contribute physically, morally and monetarily towards the divyadesa kaingaryam if Anudinam is organizing one. Please let me know if there is any initiative or any details of the hereditary trustee names. aDiyEn dAsan. It is so distressing to see Garuthman with missing head. aDiyEn is ready to contribute my little mite towards the divyadesa kaingaryam. With Acharyan’s tiru ullam, we can join hands and make a difference. 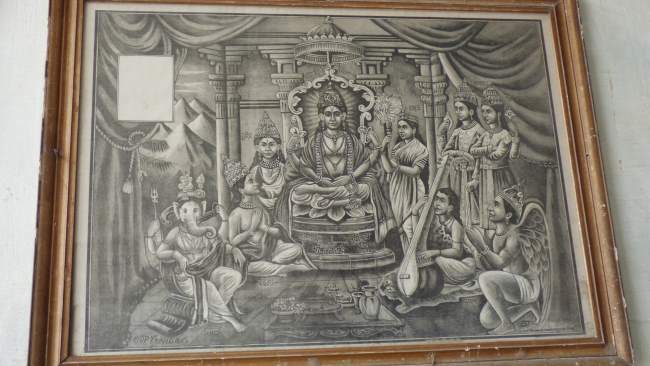 Please publish how we can get together to restore this exalted DivyaDesam. 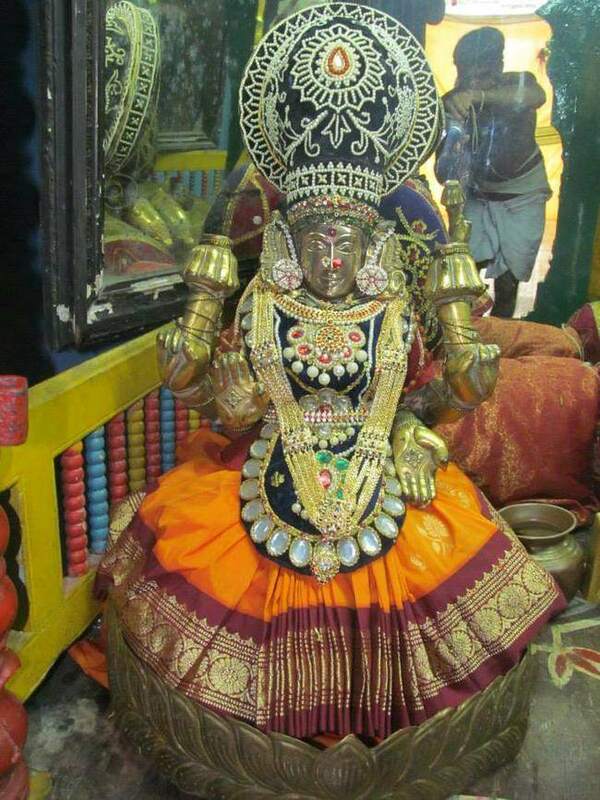 Srimath Azhagiya Singar ThiruvadigaLE SaraNam. Swami we also felt sad on seeing this but have no idea about whom to contact regarding this. Shall try to find out. It felt as if i really visited Pachaivannar and pavalavannar temple. 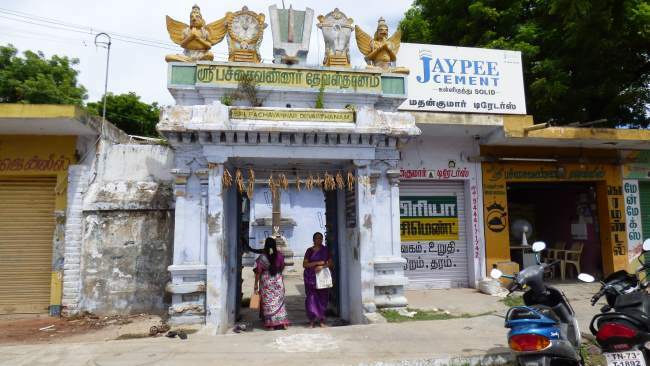 Kindly advise if any small kainkaryam could be done by adiyen for this temple or other. Swami we shall find out and let you know. To the best of my knowledge, the parambarai dharmakartha does not encourage any renovation efforts. 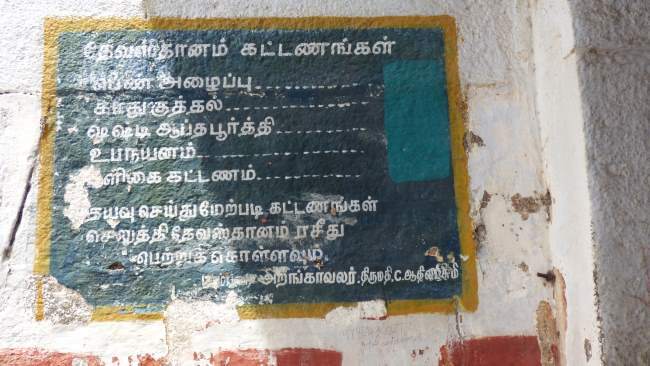 The salary offered to battar here or in pachaivannar temple for so many many years was less than 600/ per month; recently it was reportedly revised to 1000/ month. While there are many interested parties who are willing to contribute for renovation, there was no initiative from the Adharma kartha. Government take over is the only solution. But there is very little income to both temples; very few visit. So, there can not be any interest for Govt takeover. Pray for the unfortunate employees of both temples.The Dwajasthambam fell down many years before due to lightening/cyclone. Still not repaired. Paramatma only can save these beatiful, ancient, peaceful, crowdfree temples. sridhar Abudhabi. If Partha, Ramanujam join me, we can attempt to support monthly all employees of both temples numbering 3 (Pavazhavannar & 1.5 (father & son partime-Pachavannar). I have bank a/c numbers of both temple senior battars. The idea is good . I did approached the CM Cell already with regard to this and they have estimated Rs. 30L for the renovation. Due to very poor fund at the temple, they couldnt proceed further. They are looking for Upayadhara’s for funding. 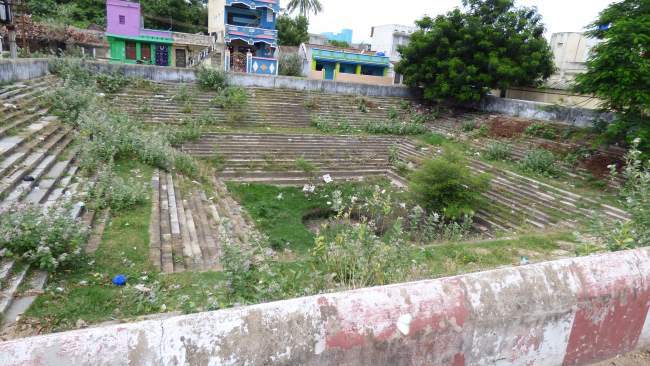 As you said, the parambara dharmakartha is not interested and ready to renovate. An Individual cannot run this renovation, so looking for suitable Trust who can lead this renovation and even am more happy to support for this. Once the fund is raised, they confirmed to approach the authorities for approval and dharmakartha’s confirmation. Do you have any suggestions who can lead this? I have approached couple of kainkaryam trust through google however havent received any reply. 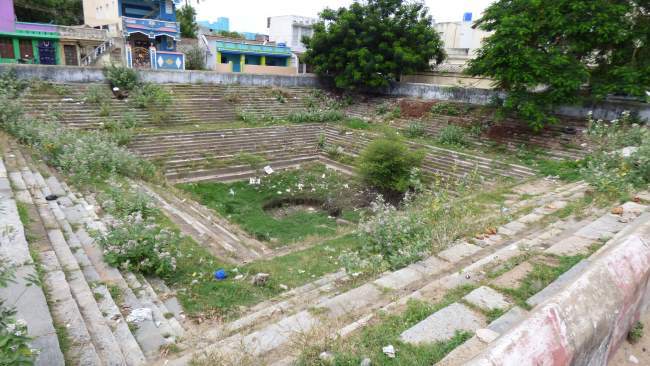 Dear Sri Arunkumar Vijayaragavan swamin and other swamins interested in the renovation and helping the Archaka Swamins of the divya desams, Adiyen’s two cents on this issue. Regarding the Archakar swamin’s salary: It is adiyen’s personal opinion that we must go through some recognized mutt Acharyas like Sri Vanamamalai Mutt or Sri Sriperumbudur Jeeyar mutt or Srirangam Srimath Andavan swamigal or Sri Ahobila mutt Jeeyar. Only the mutts have the authority to check and release funds to the Archaka swamis as and when required. We could all meet up at a common place, visit the Acharyas, request any one of them to route the money through a fund managed by the Mutt trustees and pay the Archaka salary and other benefits. This has dual benefit. When the Govt. , decides to hand over the temple from the present trustees to some mutts, the Acharyas can step in. Also, there will be control, trust and accountability when money is routed through an Acharya mutt. My brother Sriram from Mambalam, took over the charge and completed the renovation of the Thiruvelliyangudi Divya Desam ( Sri Kola Villi Ramar ) temple. Believe me, HR&CE (Govt) will give a 30L estimate, but once one touches the temple, then we can know the real situation – the estimate will run into at least 1 to 1.5 crores. 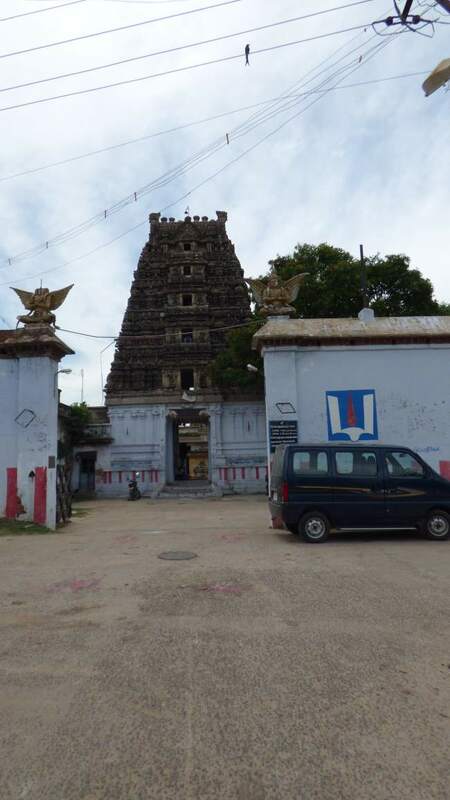 Since these two temples are smaller in comparison to some other divyadesam temples like Sri Parthasarathy temple, etc., – the cost will be lower – but somewhere in the rupees 75 lakhs to 1 crore zone. 3. Renovation and painting activities. 8. Printing and inviting the Acharyas to the samprokshanam..
Its a divine task, so a lot of people power needed.. Lets see.. how it goes.. if the temple is with HR&CE it will be even more difficult.. but we need to convince the Dharmakarthas that we can get this done – Some big patrons like TVS is there means it will be faster.. but even then the money as I say should be routed through a trust and also needs to be done under the watchful eyes of an Acharya of a mutt. First positive & concrete step by Shri.Vijayaragavan. Renovation offer is very nice and indeed commendable. My contribution is readily available for the renovation trust. Dear Sridhar swamin, thank you for your kind words. A good start indeed. Lets use this same forum and request Anudinam coordinators to have a discussion forum for this until a formal committee and trust is formed for the renovation. 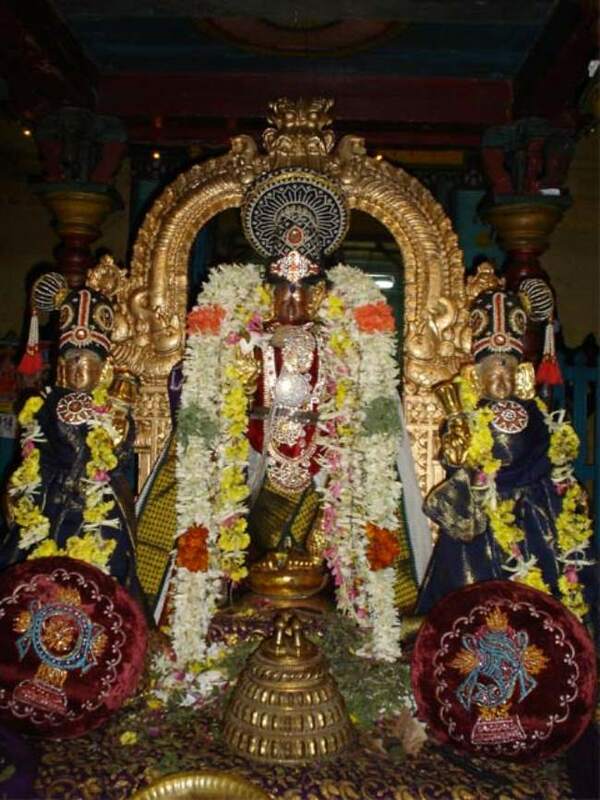 All Acharyas and Mutt adhipathis are in Srirangam ( for the Sri Ramanujar 1000 function ) / in Chaturmasyam at the moment. Lets wait for the end of month for them to return to Aasthaanam. 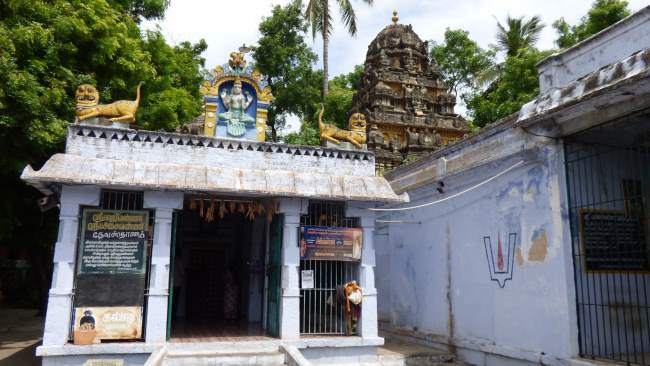 Adiyen’s Acharyan Sri Srirangam Aandavan Swamigal, who had done mangalasasanam recently to the Pachchai Varnar Pavazha Varnar temple, is scheduled to complete Chaturmasyam at Kalyanapuram and returns to Aasthanam at Chennai Azhwarpet Ashramam by end of October. Adiyen will do a vinnappam to Sri Swamigal for the above and get his mantrakshathai. Sri Swamigal will be able to guide in the formation of trust or other renovation & Samprokshanam related activities. The point for Archakars is good, Adiyen’s points were that the salary supplements could be routed by a trust under the aegis of an Acharya’s mutt, but what you say also makes sense.. Better to help them in immediate situation and stabilize and then check for a permanent solution. 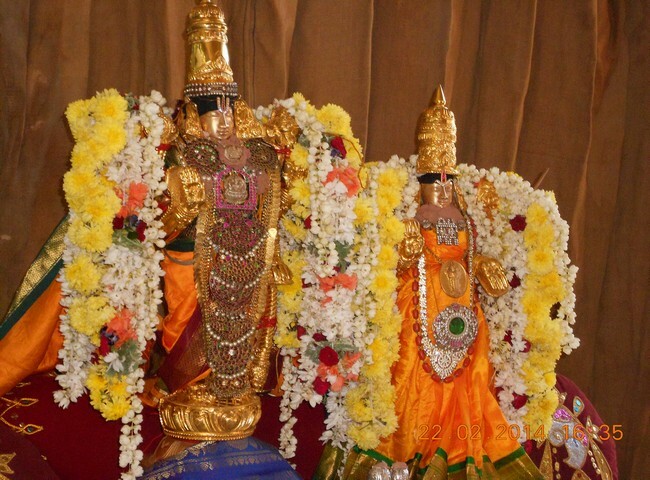 Regarding the samprokshanam cost, it will be double for the two divya desams. So, better to start with one and then complete the other – I suggest the smaller Pachchai Varnar sannidhi will be good start. But, lets see what Sri Swamigal informs in his Thiruvullam. Dear Vijayaraghavan swamy, Very happy for your ideas for way forward. I am with you in all temple plans. God willing, I intend to contribute 2% of total cost. I am currently engaged with the renovation of Kothandarama swamy temple at Kunnur near Thiruthuraipoondi andavan’s birth place. 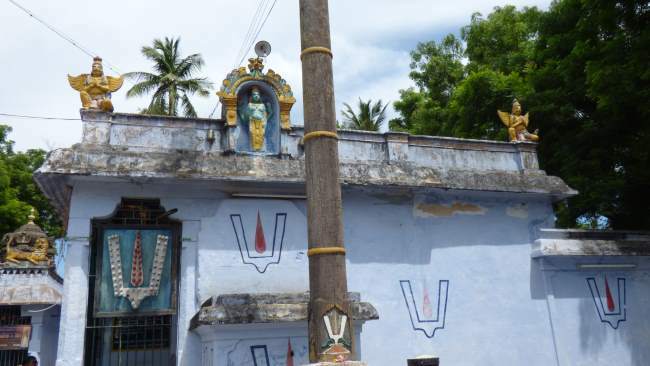 Last year, Andavan swamigal gave permission to initiate renovation of Kadantherthi Varadharaja perumal temple. Due to several constraints, could not start the work. 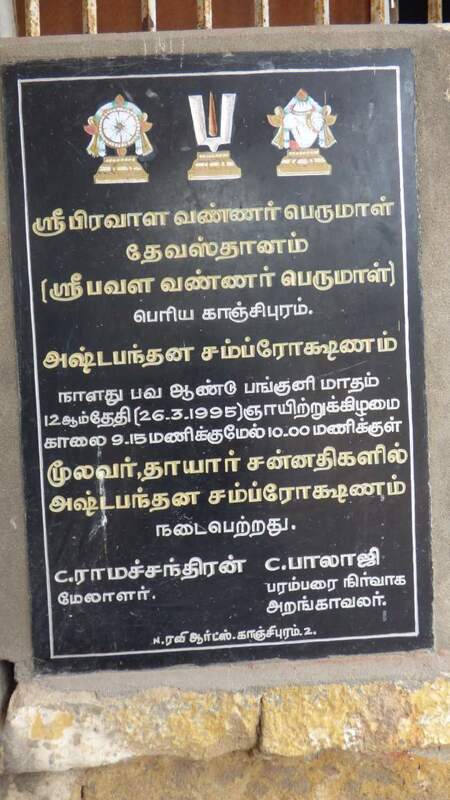 With the grace of swamigal / paramatma & with the support of Anudhinam portal followers, we all must be able to complete these two renovations by 2020. My salutes are due to sunderrajan couple. sridhar Abudhabi. Dear Vijayaragavan swamy, thanks for your input. Sure, let’s wait for acharya swamigal return and certainly we need his aasirvadham for the next steps. Let us know the next steps. Dear Sridhar Swamin & Arunkumar Swamin, Dhanyosmi, Sri Acharya Swamigal is on sancharam again to Thirumalai and from there to Srirangam to Kumbakonam and then back to Chennai only by Nov. end it seems. Adiyen prays to Acharyan for his dharshan @ Srirangam Periyandavan Ashram. That said, I spoke to my brother regarding the modus operandi and here are few information got on the subject. 1. 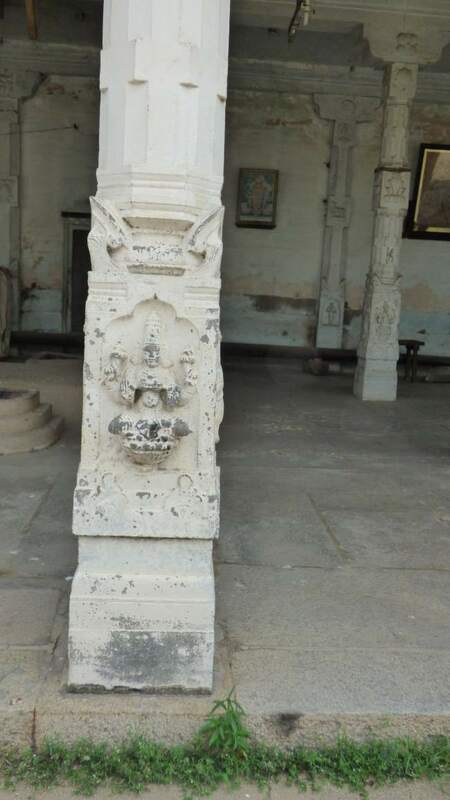 First and foremost, before going to Acharyan, it is better to go to the two temples first hand, get a first hand information on what are all the renovations required (like ) – if the compound wall ( big madhil suvar ) – is not damaged, then just scrapping and white washing alone is sufficient. That will reduce cost. Similarly for the Vimanam and Raja Gopuram. Cost for Cement is Rs.15 per sq. feet and Rs.17.5 per sq. feet as per the cost provided by REACH foundation which did the restoration of Perumal Kovil ( Sri Varadaraja Perumal Kovil), Kanchipuram. 2. To speak with the Dharmakarthas directly, get their consent on to getting the two temples renovated and with their approval, start a trust to get the activities routed through it. Its better to get in written that the Dharma karthaas have given a confirmation and go ahead for the to be formed trust to collect money for the renovation purpose and then to do the activities in the temple on its behalf under the conditions of the dharma karthas. 3. After the above 2 then to visit Acharyan and get their consent on the trust formation and other activities. Swamigal knows people who have already performed the renovation and could help with the next steps on formation of the trust. 4. Once the trust is formed, get it registered, have a proper nationalized bank account # in the name of the trust, proper website, email address and bill book. 5. All the amounts collected must be accounted for from the sevarthis, if they have mailing address – to be mailed and if they have emailing address to be emailed of the progress by the trustees. 6. To contact REACH foundation and get the initial estimates, publish them to the patrons of the trust and get the initial amount released from the bank to the REACH people. 7. After the bhoomi pujai and Vimana Balalayam, the REACH people will raise the scaffolding within 2 to 3 days for the Raja Gopuram, Perumal & Thayar vimanams. 8. 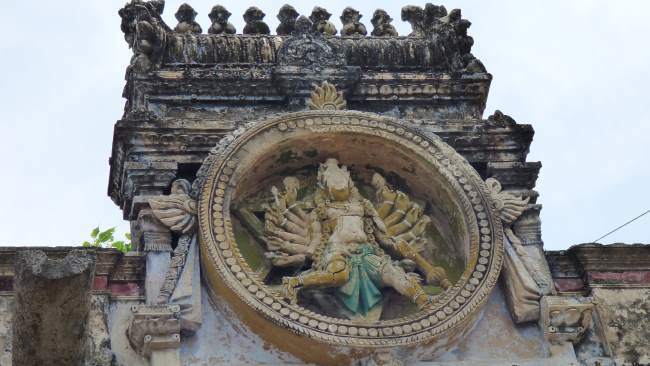 Once the scaffoldings are done, based on the flow of fund, the progress will be on repairing the broken icons on the vimanam, reworking on the gopura kalasams, plastering broken parts and applying primer. 9. 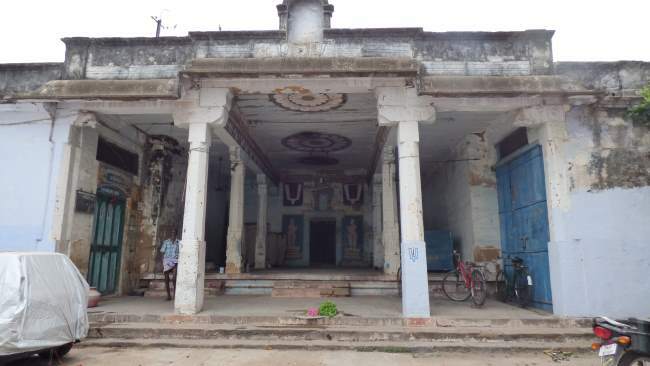 After this, the moorthy balalayam should be performed ( ONLY IF SUFFICIENT FUND FOR SAMPROKSHANAM IS THERE) – this is because, once the moorthy balalayam is done, Samprokshanam should be performed within 6 months and should not be prolonged further. 10. 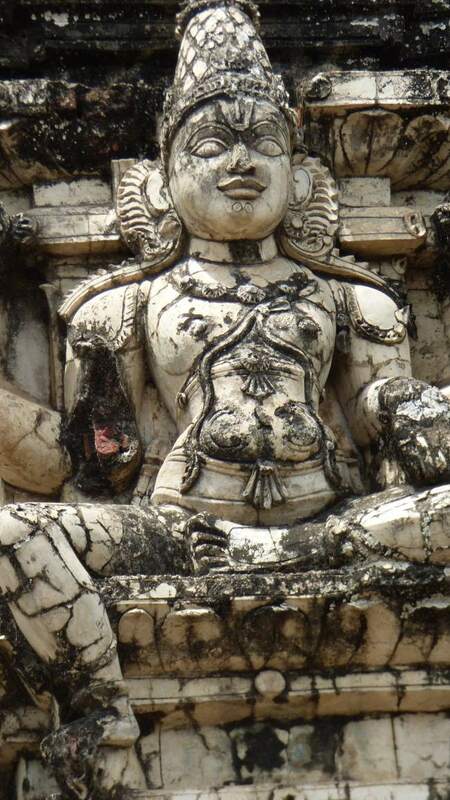 Again the REACH sthapathis will work on the garbagraha renovation and white washing. 11. 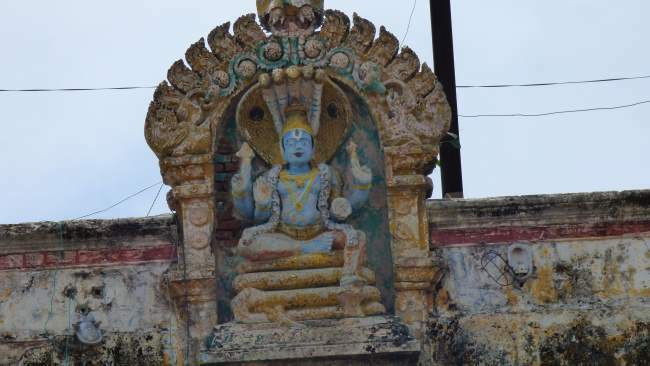 After this, just a month before the Samprokshanam date, fresh paint ( it could be pancha varna – 5 colours or two varnas – yellow and dark blue colour ) will be applied on the Raja Gopuram, Vimanams and the compound wall. ( this is because to avoid the compound walls from getting black with soot from oil lamps). 12. Finally, a week or 2 days before the Samprokshanam, the Dwajasthambam will be placed with fittings. Just a day before the Samprokshanam, the kalasams of the raja gopuram and the Vimanams will be freshly polished and kept ready with Ashta bandana done to them for fixing. 13. 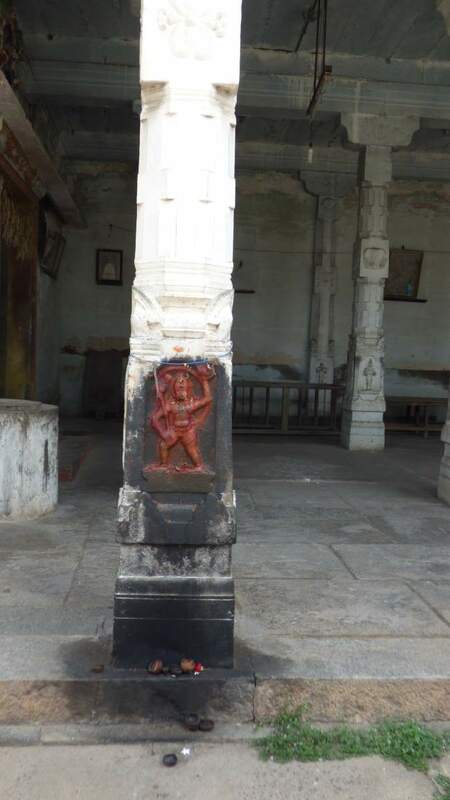 Now coming to samprokshanam, if the temple is vaikanasa, the yaga salai set up will cost 1.5 lakh and then the samagri will go to around 1 lakh, then the dhakshina to the Ritviks to somewhere around 5 – 6 lakhs., add to this, the dhakshinai for the veda parayana ghosthi, the divya prabandha ghosti, Acharyan sambhavanai, Prasadam & Anna dhanam, posters / flex for the occasion, etc., the total cost of the 5 kaalam yagasalai ( its a 3 day Yagasalai with 5 kalam pujai with poornahuthi ), will run to somewhere in the range of Rs. 10 lakh for one temple. Multiply the above costs and manpower for the two temples, then we can get the clear picture. I have only a small amount ( less than 2 lakh) and only my own manpower by Sriman Narayana’s grace and Acharyan’s krupai alone to cover all these.. let me see how Sriman Narayana guides adiyen in this kaimkaryam. If all goes well, next weekend, adiyen prays Sri Pachchai Varnar & Sri Pavazha Varnar to give his dharshan first. Then let me try getting the dharma karthaa’s address, we will go from there. Sridhar Swamin, Arunkumar Swamin, adiyen’s email id is – ocavijay@gmail.com – please can you drop a mail and we can get going from there. Dear Sidhar Swamin, dhanyosmi – thanks for your encouraging words. 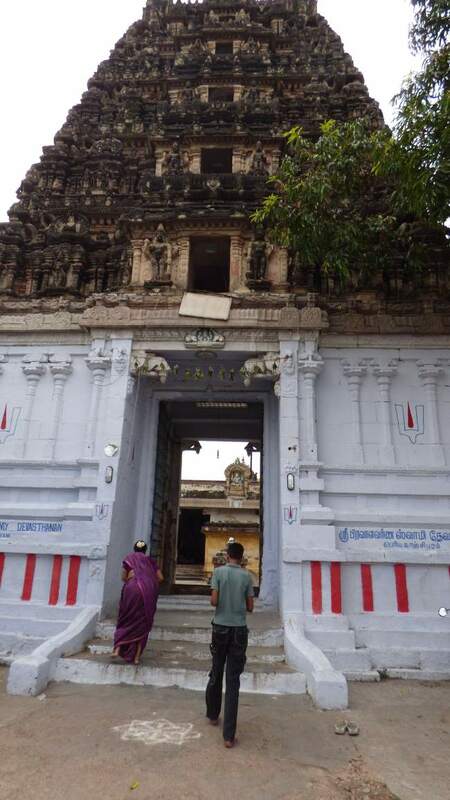 Adiyen was enquiring one thenacharya swamy with whom I have shared this information and asked if there was any news of any renovation or samprokshana related activities for the Sri Pachchai varnar Pavazha varnar temples. The answer the Swami gave was quite disappointing. Seems like some party was willing to take up the renovation before and even approached the paramparai dharmakarthas. The Dharmakarthas were not in mood for the renovation. The dharmakarthas are afraid that without their permission or in their names, people are collecting funds and misusing that. Seems they are not willing to let any others to use their or their temple names for any trust. Since this might involve legal tangle, it is hard to proceed with a different trust name other than the ones the Dharmakarthas agree and approve or which they already have. According to me, as per the hereditary trustees, they might be right.. they don’t want their names or temple names misused by others and squander money. I believe they are not bad, but all they want is – if someone / some trust is willing to give them the entire renovation cost and sponsor them, then I think they will not be that opposing to the renovation. They also are taking care of the temple priest and the neivedhyams. So, it is important to acknowledge their contribution. Also, they might be afraid that if the temple becomes famous and more people visit it, they could be the target of HR&CE take over. So, they are keeping it close to their heart..
1. 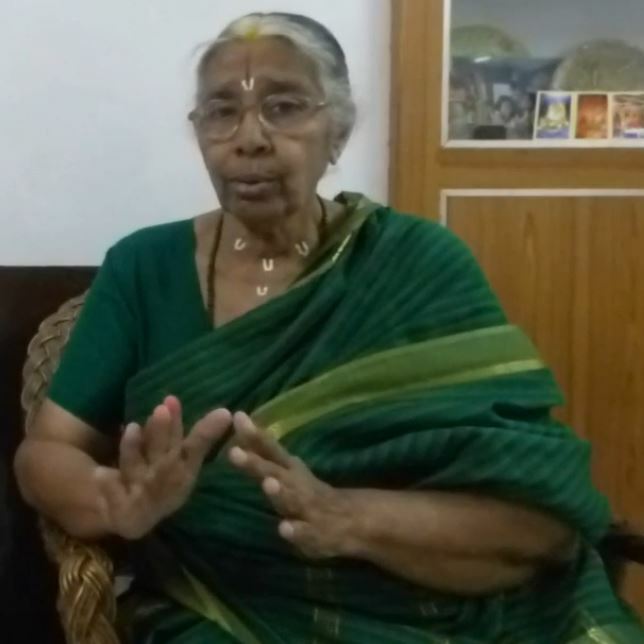 To set up a permanent divya desam kaingaryam fund with individual mutts ( both kalais ) and a central body with equal representation of both kalais which will be the task force that will do the temple renovation, maintenance of temple people, etc.,. 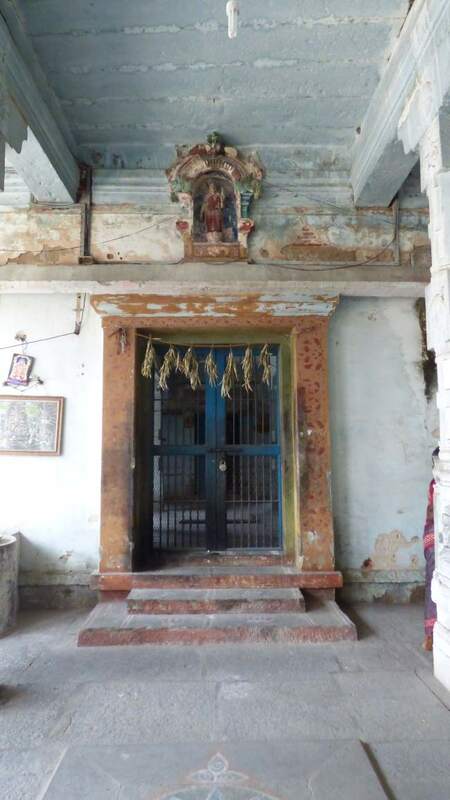 3. categorize and rank them based on the immediacy of renovation requirement – like some cases, there will be such emergency, like the vimanam over the perumal sannidhi itself will be in need of immediate attention – those to be grouped first. 4. Then the combined task force will need to get the proper personnel, who have already had experience in samprokshanam and know the teams, they should be got into the task force. 5. Then the task force should be entrusted and released the money stage by stage till samprokshanam. 6. The task force will submit the progress report after each phase to the respective mutt adhipaathis who take care of the temple. 8. Private trustees will also have some place to be relaxed, as they will still have the control of the temple, but still they will get the temple renovated and also hold on to the hereditary trusteeship. 9. Meanwhile, the trust could also support the temple kaingarya paras like Archakas, Paricharakas and watchman. 10. The task force will need to publish the activities and step wise execution and these should be documented as sequence of steps to be performed for samprokshanam for the next generation to keep the task of renovating the temples every 12 years. 11. 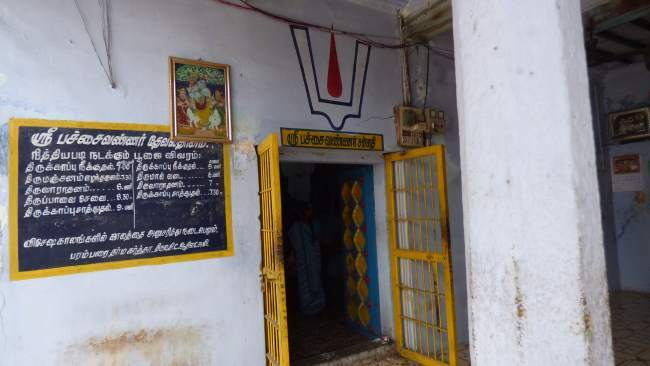 The problem with most temples is not the samprokshanam frequency itself, but the lack of volunteers for uzhavara pani. 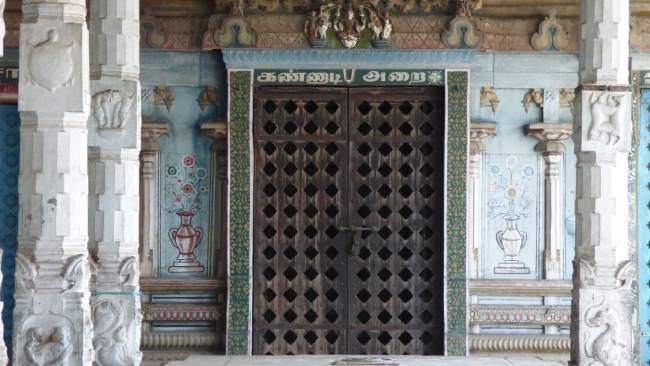 Uzhavara Pani or keeping the premises clean of bird droppings, checking the vegetation growth on the vimanas, thiru madhil suvar, cleaning the temple vessels, cleaning the mandapams, cleaning the vahanams, etc., are very important – as of now, there are very few in Srivaishnava community who do this, one Sathadha Srivaishnava ghosti, one Bhagavatha ghosti and another one from Bhattar Kuzham ( mainly children helping in holidays ) are the primary ones that are doing this – there are many dedicated groups in Shaivites who do this, but in our SriSampradayam, its utterly neglected. 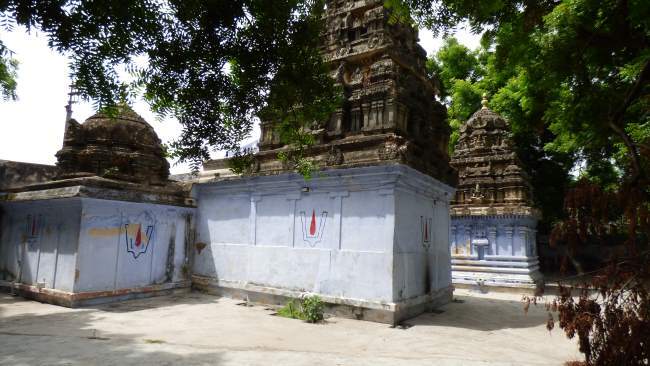 There are private uzhavara pani groups, and if they are also brought in by contract by task force, a regularly cleaned temple premises itself will help a great way in keeping the temple clean and will reduce cost of repair works during samprokshanam. 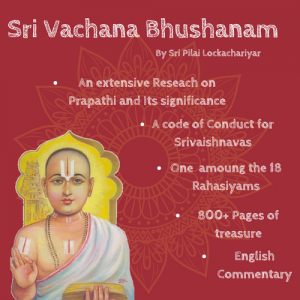 Regarding Sri Pachchai Varnar – its still going to be Sri Emperuman and Emperumanar’s thiru vullam until all our Srivaishnava community come together and support the mutts and acharyas in this endeavor. People like Sri Sridhar swamy are exception, who take active interest in temples and renovation, my observations are – many of our community sit in foreign, just wishing things will go fine in India, just sending dollars as acharya bahumanas, and visit India in vacation and blindly go to divya desam tour as if checking the check box on their counters for the number of divya desams visited. The ground situation is much worse and the temples themselves are earning good amount through the sudden surge in bhakthi here in India, go to any temple on a weekend, there is a milling crowd.. But at the end of the day, the special darshan tickets amounts are just collected by HR&CE – the money doesn’t end in the temple, it goes to Govt. 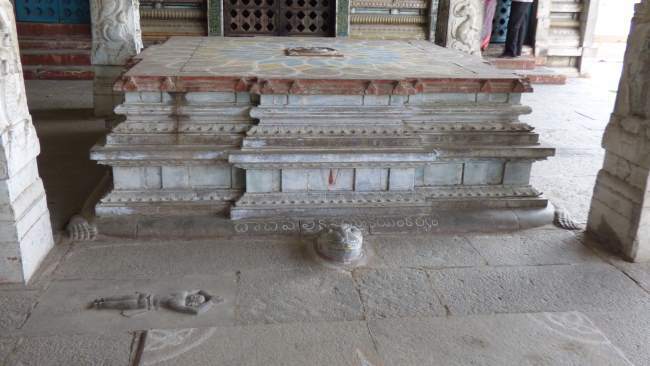 treasurey – and HR&CE is not interested in renovation and just give estimates and never even budge to give even a rupee for the not so high earning temples. There are many takers for big temples like Sri Parthasarathy temple, the realty is temples like Sri Pachchai Varnar are the left out ones. Let me discuss with Acharyan and understand how to proceed in this direction. 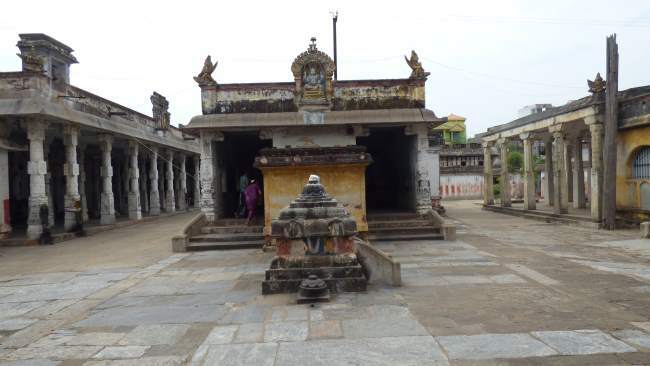 Many Yateeshwaras have converged at Srirangam, hope someone will put a word to them to on this urgent situation and hoping the situation will change at least in the Sri Ramanuja Saharabhdi. Swamins, It is heartening to know that there are people like you all who are ready to get involved. As far as we are concerned we are totally ignorant of all these proceedings. We happened to stay in Kanchipuram for a year and did this series. We shall pray to our poorvacharyas to crown your efforts with success. Thanks for covering larger ills of our community. We need to move practically and focus only on Pachavannar & Pavalavannar temples. 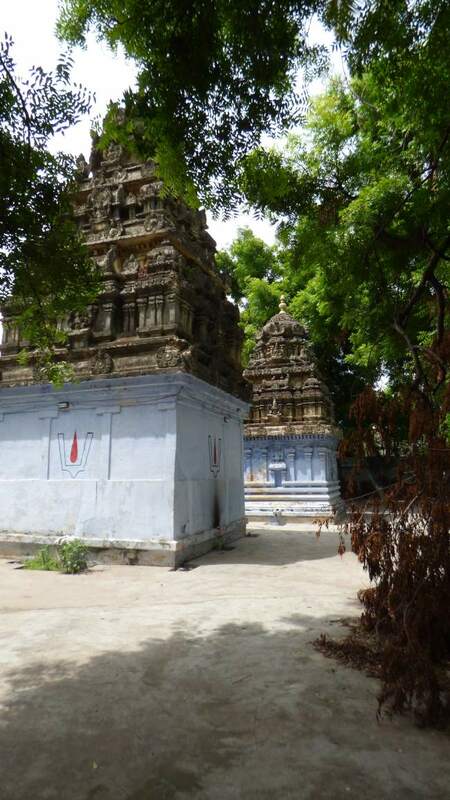 I do not want to give any credit to Dharmakartha of these two temples. They are the only ones responsible for the current status of both temples. They do not know how to generate income from temples’ resources & properties.They demotivated the battars & other employees. Employees are tolerating & hold on to their family service to Lord. Dear Sridhar swamin and Arunkumar swamin & all Srivaishnavas, first adiyen wish to tender my apology that I spoke ill on Srivaishnavas abroad. Coming to the last point that Sri Sridhar Swamy and Sri Arunkumar Swamy have discussed. Yes, Adiyen also wants to see that the Divya Desam reaches its past glorious days. I think we are going back to what Sridhar Swamy & Arunkumar Swamy said, better to help the Archakas. But I think this problem is a multilayered one. The information is the hereditary trustees are not against welcoming sponsorship for Thirumanjanam, Thiruvamudhu neivedhyam. They are against anything concerning the infrastructure of the temple. 1. Both the temple should be kept open from 7:00 a.m. till 12:00 p.m. and again from 4:30 p.m. to 8:30 p.m. every day of the week if not possible, at least in weekends. 2. There should be a Thiruvamudhu of Thayir saadham daily which should be big enough to serve in donnais for at least 20 sevarthis in each of the two temples, that should be done neivedhyam to each of the two Perumals and should be distributed as prasadams in respective temples. During weekends and on Sravanam, Thiruvadhirai and in weekends, at least two Thiruvamudhus, either Kadhamba saadham and Thayir saadham or Chakkara Pongal and Thayir saadham should be offered to Perumal & thayar and should be enough to be distributed as prasaadham to minimum 20 sevarthis in each temple respectively. 3. There should be Thirumanjanam and Alankaram for both Sri Pachchai varnar and Sri Maragadha valli on Sravanam star ( Srinivasar star) and Sri Pavazha Varnar and Sri Pravalavalli on Aarudhara(Thiruvaadhirai) star ( Sriramanujar thirunakshatram ). Finally, lets plan and do some random visits and keep ourselves updated if these conditions are met so that we continue sending out the archaka salary increments to them. Our priority first is to have the living and speaking perumal in the form of archakas to be first taken care – if they are happy, they will be motivated to further take care of perumal. Only if the temple is kept open for a longer time, if the prasadhams and thirumanjanams take place regularly, will sevarthis will start to keep visiting regularly – thats the reason for the 3 conditions. The second layer of the problem is the infrastructure changes. This is where the problem comes in – the hereditary dharma kartha families have some opposition in this and adiyen doesn’t want to go into those legal tangles. Without proper balaalaya homam and respective aagamic procedure, it is impossible to touch the dwajasthambam, vimanams and moorthys inside the garbagraham for any renovation or samprokshanam.. So, here its only time that will tell if Sriman Narayana has the anugraham to us to get the hereditary trustees to have a change of heart and let the samprokshanam proceed..So, its like what they say in diplomacy, as the process of ‘confidence and trust building’ – that I see for a year or two continuously with this archakar samrakshanam kaingaryam and increasing the sevarthis, – that can, in time with Sriman Narayana’s blessing, can bring about the change of heart in the hereditary trustees. Thank you Vyjayanthi Madam for your wishes. 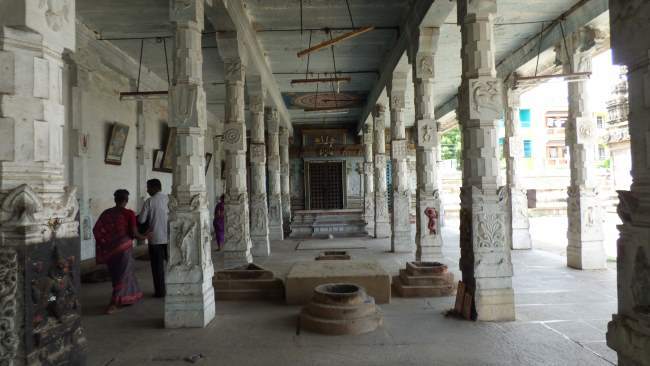 I really liked this travelogue but sad to see the conditions of such ancient temples. I want to make my small humble monetary contribution. Please let me know how can I take part in this beautiful plan you all just discussed above. I’m from western/central India. 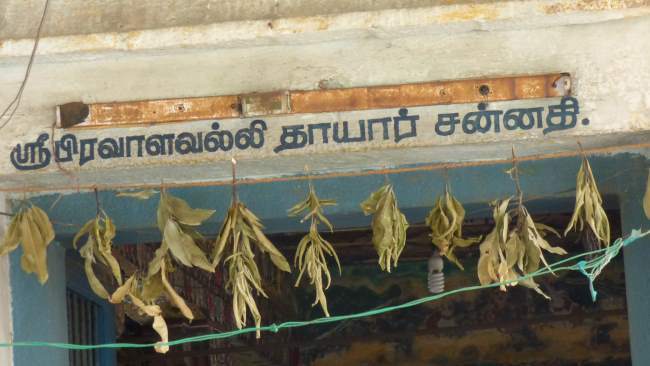 Don’t know Tamil (Engligh/Hindi).